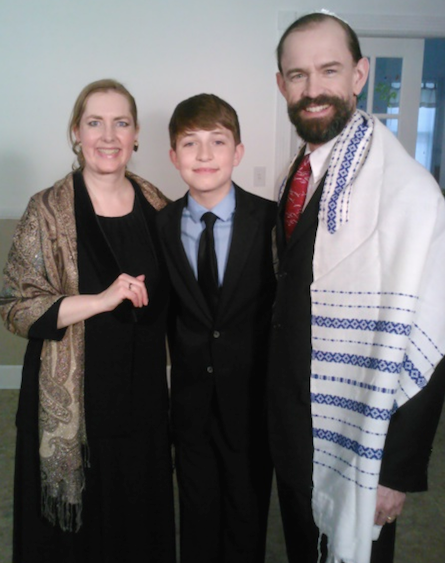 We just watched Donald James Parker﻿'s The Unexpected Bar Mitzvah﻿, in which Joyce and I play husband and wife. It was shown on Daystar Television Network, but you can order the DVD now. The Dove Foundation gave it a great review: Dove Family-Approved. The review said, "This one has earned five Doves, our best rating." We're so pleased to be a part of this film that boldly speaks Truth. 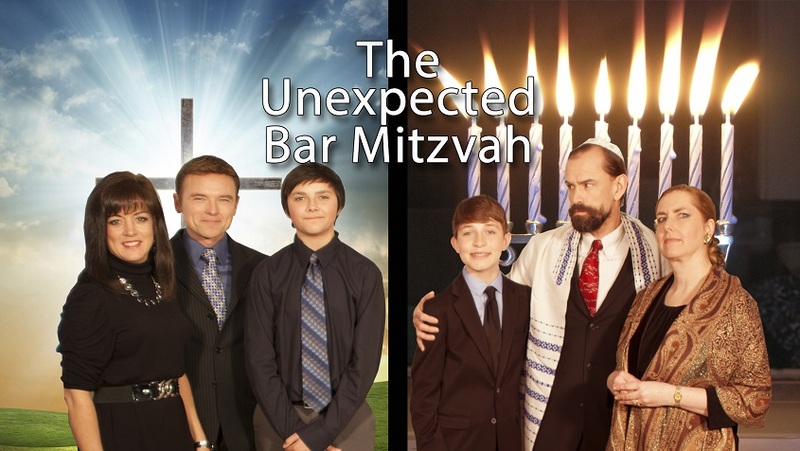 I wrote that last sentence months before The Unexpected Bar Mitzvah was nominated for seven Truth Awards: Best Film, Best Director (Chip Rosetti), Best Original Screenplay (Donald James Parker won), Best Inspirational Story (won), Best Supporting Actor (Jeff Rose won), Best Supporting Actress (Donna Botts), and Best Actor (Rich Swingle). It also won Best Evangelistic Film at the GloryReelz Christian Film Festival. That is from a sermon, which you can hear in its entirety here. Screenwriter and producer Donald James Parker interviewed me on his show, Wielding the Sword of the Spirit, which has been my most visited blog post. What an awesome experience bringing this script to life with Rich and Joyce Swingle! This movie is going to be special. It was great working with you and your team, Donald! Rich Swingle... I just now realized that I saw you on TV the other night...and did not even realize it was you. Although I am not that familiar with who you are...I have seen you in the trailer for The Unexpected Bar Mitzvah. Just now...I was watching your reel... (after reading your eCard) and was so surprised when a scene from A Christmas Snow popped up. My mouth dropped open as I remembered watching that movie just the other night...Christmas Eve I believe it was...and at the time I watched it...I did not realize that Claud was played by the same actor (you) that I had seen in that trailer for The Unexpected Bar Mitzvah. What a delightful surprise. I think you are a very talented actor sir. So glad it's reached your continent! Beautiful movie of mutual love and respect for two great religions. I ordered this movie knowing in advance it was a simple, low-budget, indie film. However, I was pleasantly surprised that the content and filming were, for the most part, well done and professional. Any weakness in acting was overcome by the story line itself, and my wife and I thoroughly enjoyed it. The movie itself displays the most loving and compassionate portrayal of a Jewish family that finds themselves in the middle of the Midwest (South Dakota), nervous and surrounded by Christians. The main character, a young boy named Paul, has been given a special love for Jewish people from G-d, and seeks to become friends with the young Jewish boy of this family who, coincidentally, has moved in next door. The father, desperate for work, has relocated there, and is genuinely concerned at their friendship. There is the obligatory harassment by two kids who hurl anti-Semitic taunts and threats, but they seemed to belong more in the hills of the deep south than in a small town in South Dakota. The conflict is between the Jewish father's fear of Christians (Christendom in general) and his son, Abraham, who quickly becomes fast friends with Paul. Great consideration is given to the concerns and feeling of Abraham's father, who quite rightly has fears stemming from the Holocaust--in addition to centuries of historical anti-Semitism. (Warning: there is some graphic stock footage). I was initially upset with his loss of temper on occasions  but became equally impressed as he lovingly asked his son (and wife) for forgiveness. There is some minor (and not so minor) distractions on the definition of "Baptism of the Holy Spirit" as the author attempts to create an analogous wedge between Paul and HIS father. Since I believe that a person is instantly and automatically baptized by the Holy Spirit at the moment of salvation  regardless of outward manifestations  it seemed a bit contrived. However, the emphasis that G-d's gifts are without repentanceand for todaywere welcome and well established. The beauty of the movie is the realization, ultimately, that they worship the same G-d, seek the same Messiah, and ultimately (with the help of a few dreams and miracles) find beautiful reconciliation. SERIOUS SPOILER ALERT: If someone is concerned that this is movie is about making Jews give up their identity and become Christians, they will be pleasantly surprised as young Paul is able to join Abraham in his Bar Mitzvah and the close of the movie, which, of course, is where the movie gets its title. Watch this movie and enjoy the beauty of how G-d unites and reconciles, as opposed to the world which does nothing but divide and alienate. A note from an Australian: "The best faith-based movie I've ever seen! Great work for Yahweh! I saw this great movie today on Daystar!"